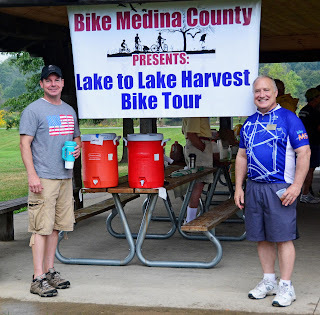 Bike Medina County is a group of citizens and representatives from local cities, villages, parks and bike shops in Medina County dedicated to increasing the use of bicycles for transportation and recreational cycling and to increasing bicyclist safety. Their second annual Lake to Lake Harvest Bike Tour will have three ride options: 32 and 47-mile routes, plus a casual family-friendly ride of 6.7 miles! Helmet and registration form is required for every rider; flashing taillights are required for road riders. Click here for the complete schedule and registration details. 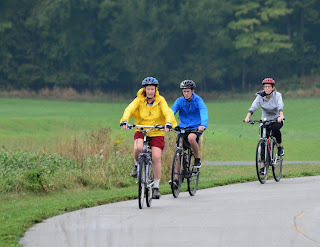 The inaugural ride in 2016 was a huge success, with 60 riders participating, despite rainy weather! Click here for more photos from the event.